Naturally, you will often see dogs occasionally chase their tails. This is a behavior that begins in puppyhood and emerges again in an adult dog. For puppies, a tail is just a toy that repeatedly triggers their instinct for prey. At their age, they even do not consider the tail as part of another animal. However, this is something that is debatable. This could be the reason a puppy will begin chasing its tail on spotting it. As dogs grow and get older, they become smarter and they stop falling for this trick of nature. This is because they learn how to distinguish their body parts by sight and lose the puppy playfulness. 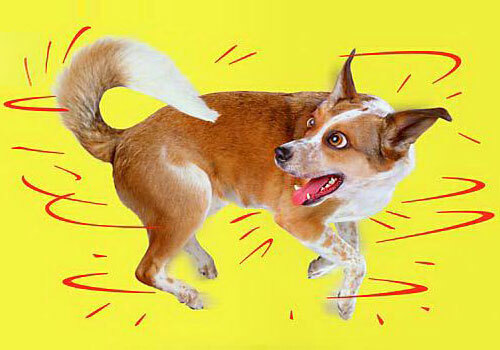 Adult dogs will whirl around trying to chase their tails stopping only when they get tired or dizzy. When this becomes more frequent and compulsive then it should be a concern to you. It is important for you to find out why do dogs chase their tail and seek the help of a vet. The reason for dogs chasing their tails varies from dog to dog. Below are some of the reasons your dog could be chasing his or her tail. Boredom is brought about by the lack of stimulation or an inadequate level of physical activity. Dogs will often chase their tails because of boredom. This has been pointed out by dog trainers and behavioral experts. Puppies do not realize that their tail as part of their body but instead see it as a toy. They, therefore, create their own entertainment using their own bodies. As dogs grow old, this kind of play stops. This is a way for the dogs to have fun and expend some energy. 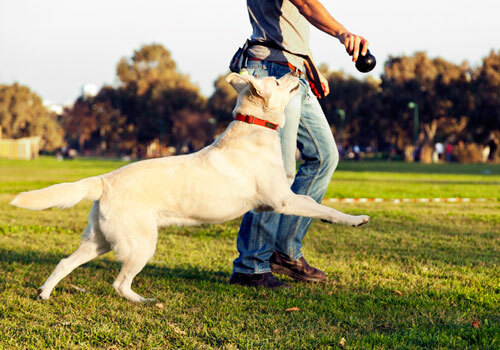 This behavior might cease once your dog gets adequate physical activity and exercise. For your puppy, give her lots of toys to reduce the urge of chasing her tail. Giving positive attention to your dog whenever he starts chasing his tail could be the reason causing him to do it often. This is because, like human beings, dogs are social animals that love attention and affection from the owner. Watching and laughing when your dog is chasing his tail gives him attention and that’s why he will do it so that you take notice and play with him. 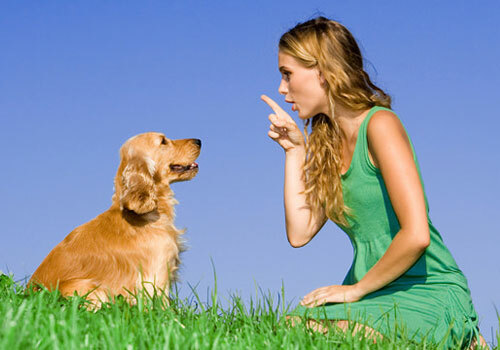 It is worth noting that even negative attention to your dog such as reprimanding him might be a positive reinforcement. Do not give your dog any attention (either positive or negative) when he is tail chasing but ignoring him. This is the best way to help him stop chasing his tail. Your dog may have a physical injury on his tail as a result of being slammed on your door. He may also have other conditions such as skin irritation, bites from fleas, ticks or other pests. This may be the cause of the behavior as he is attempting to get to the affected area. Humans have a spot right in the middle of their back that always seem impossible scratching. This problem is also faced by puppies. However, theirs extend along most of the tail. Your puppy could be trying to scratch an itch on the tail that she can’t reach easily. If you notice that she isn’t just playful, scratch the tail for her as you examine if there are any fleas that could be causing the itch. In case, there is any physical injury call your vet to help. Tail chasing in dogs can also be as a result of a compulsive disorder. A compulsive disorder is a repetitive, unchanging behavior that has no obvious reason or purpose. This may be derived from normal maintenance behaviors such as grooming, eating and walking. The repetitive behavior may interfere with the normal functioning of your dog. Anxiety or psychological issues can also be the cause of such behavior. 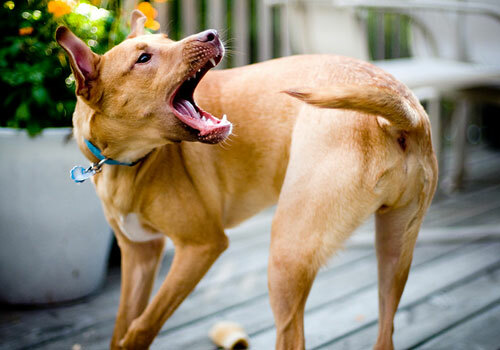 This behavior might begin with your dog chasing his or her tail after a physical injury or due to itching. Since it is a comforting exercise, the behavior becomes a habitual response to any other threat that may occur after the dog has healed or the itching stopped. The dog, therefore, becomes conditioned to this response. Intervening early enough is critical in order to prevent any compulsive behavior in your dog. You need to observe for any existing signs of obsessive behavior that could have descended from where other dogs are affected. Your vet will need to be informed about the history of your dog’s health. This includes the background information on symptoms, the dog’s familial line, and any possible incidents that may have contributed to that behavior. There is no breed, age or breed of dog that is more likely to have compulsive disorders. There are breeds of dogs that engage in compulsive tail chasing behavior more than other breeds. The reason for this behavior in some breeds and not in others is yet to be understood. It is most likely a result of genetic predisposition. Such breeds include German Shepherds and Bull Terriers. This happens even as they grow older. There are other breeds such as Dobermans which are known for flank sucking. Your dog’s age may also be a factor. In puppies, tail chasing is an expression of play. However, in old dogs, it can be a sign of a medical or psychological condition. The only reason your dog could be tail chasing is because of the breed he is. First of all, you should understand that it’s normal for dogs to chase their tails. It’s not always a medical or health related issues, but it can be a harmless expression of play. Sometimes all they need is little training and care. 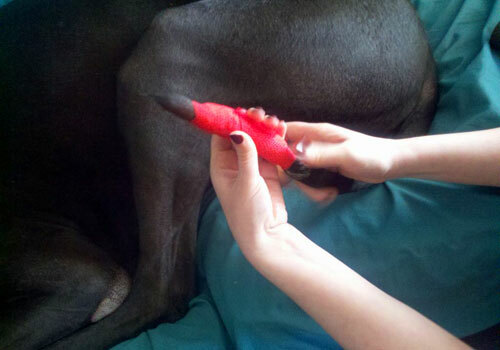 Here are couple of things you can try to make your dog chasing his tail. 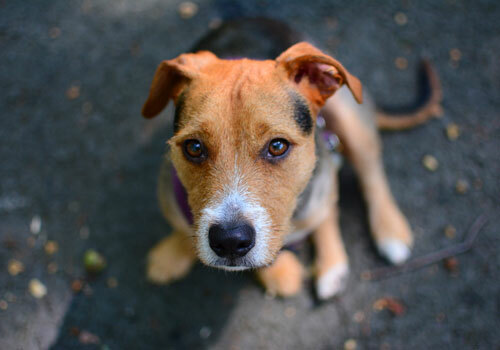 It is important to act early if your dog is frequently or compulsively chasing his tail. He can cause serious damage to himself by biting or even chewing on his tail when he catches it. This can cause your dog physical injury. You shouldn’t rely on your own examination. The best thing you can do is to call a veterinarian to have your dog examined as early as possible. The veterinarian will be able to diagnose any conditions your dog could be experiencing. Acting early will, therefore, make it easy to treat your dog before he develops a conditioned response. Exercise is one way of increasing your dog’s activity level. Oftentimes dog chases tail because they are bored. They will, therefore, do it as a way to expend excess energy. Giving your dog aerobic exercise stimulates him or her. It also makes your dog get tired preventing acts like tail-chasing. Stimulation will also happen when your dog interacts with other dogs reducing the likelihood of him chasing his tail. You should consider giving your puppy lots of exercises to reduce the urge to chase his or her tail. This involves the owner identifying and predicting when the dog is most likely to chase his or her tail and initiating an alternate activity that would engage him. Alternate activities may include training, feeding the dog, chewing a toy or playing with a ball. This activity should be initiated before your dog begins tail chasing. This is called behavioral modification therapy and should be implemented after a veterinary behaviorist has identified the cause to be psychological. You need to do this consistently until your dog learns how to comfort himself in other ways. In case you have been giving your dog any attention (whether positive or negative) whenever he is tail chasing, you need to withdraw your attention and start ignoring the behavior. Any attention given to your dog will make it difficult for him to stop this behavior. Compulsive disorders such as tail chasing may result to lowered serotonin and high dopamine levels. If changing your dog’s environment doesn’t work, then try using drug therapy. Medication may be prescribed by a veterinary behaviorist to modify the behavior of your dog. This will involve using anti-depressants or anti-anxiety medications to bring the compulsive behavior under control. However, this will take a number of weeks for the medications to be effective. The sooner the medication is prescribed the better it will be for your dog’s improvement. Remember medication doesn’t directly treat your dog but it treats the underlying condition influencing the behavior. The veterinary behaviorist should inform you of all the possible risk factors as well as a retraining/re-learning program to use to change the dog’s behavior. The dog needs to be closely and carefully monitored during drug therapy. Watch the video for more tips on how to stop your dog from chasing his or her tail. 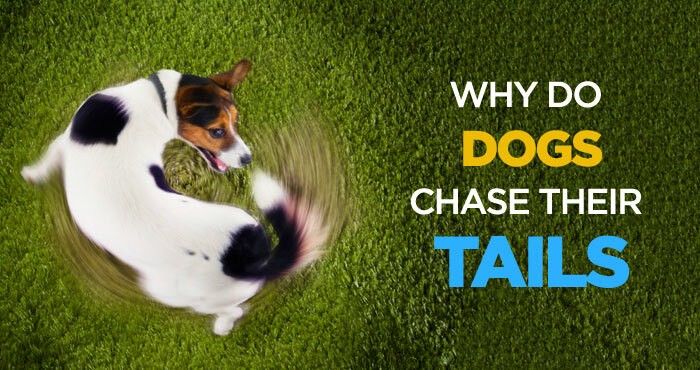 Tail chasing in dogs is not something to worry about. However, when its frequency increases it becomes an unhealthy behavior and you need to step in to help. It can be as a result of a physical problem or even a behavioral issue. You should monitor your dog watching for any unusual symptoms along. The best thing for you to do for the health of your dog is having him or her examined by your vet. Feed him high-quality dog food, plenty of exercise and keep him busy with lots of indoor activities. It is possible your dog might be fine but if she got any condition, diagnose the problem with the help of a veterinarian. There are lots of possible reasons behind why do dogs eat dirt but most commonly known causes are nutritional deficiency, stomach upset, boredom and compulsive behavior. I noticed this few days ago that my dog was keep chasing his tail and trying to bite it. I was worried about it too much and then start searching on Google. Then I also found that it’s quite normal in dogs as they usually play with their tail. And yes, I think it was because of boredom. Thanks for suggesting some easy tips that I can try at home. Thanks Paul. I am glad you found it helpful.